Explore the depths of the deep blue sea, the jungle, an incredible fun fair and the North Pole! Discover the Australian outback, the Amazon, African plains and more, without ever leaving your bedroom! Meet dinosaurs, wooly mammoths, medieval knights and robots as you explore the past and the future! A magical adventure through an enchanting lake, Santa's Grotto and the Snowman's Ball, whilst trying to find Santa! 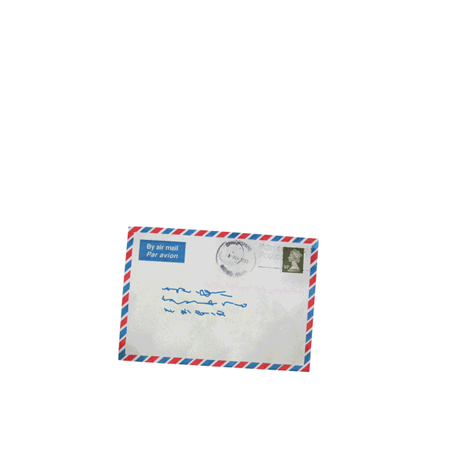 Let the adventure continue with Magic Chair personalised puzzles! 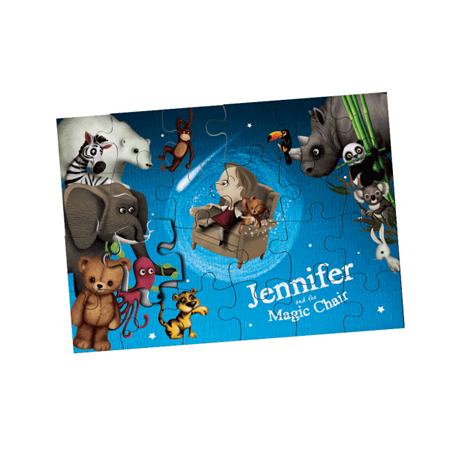 This beautiful wooden jigsaw features your child’s name and personalised character surrounded by all their friends from the Magic Chair books. The perfect gift for fans of the Magic Chair and a wonderful way to keep the magic alive! Make that special occasion extra special with our beautiful range of personalised greeting cards! There are six adorable designs to choose from all featuring your child's name and personalised character. The perfect way to show them just how special they are!